Armorer services and firearm safety advisor. Coaching in period manner and speech. 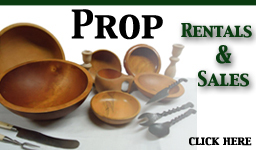 Prop and set design, as well as consultation and research for period accuracy. Armorer services, and firearm safety advisor. Sign up your period vehicles now for our Period Vehicle Locator Services. If a movie company, television, or theatre production needs to rent or purchase your vehicle, we will let them know. Forms are online, simply save the form, fill it in, and email it to us. (Click here).